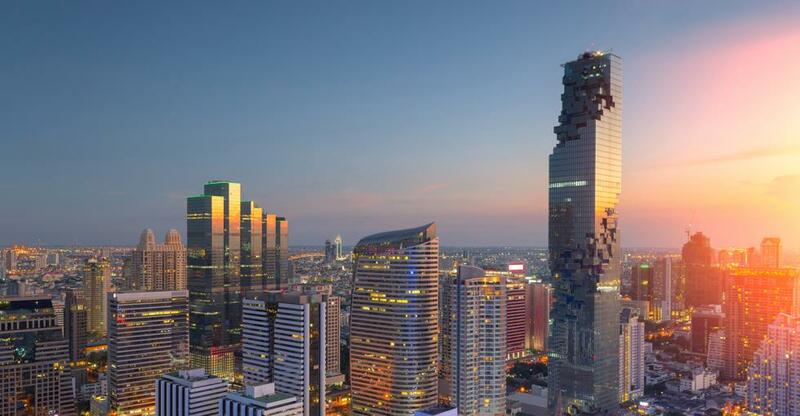 With coffee consumption in Thailand growing strongly, this article shines a light on a sector with much to offer business buyers with a hospitality background and modest budget. We outline what it takes to thrive, plus tips for buying a coffee shop and examples of properties for sale in the country. We also include tips for running your business after acquisition, including sourcing equipment and beans, plus recruitment and training. Admittedly, coffee consumption in Thailand remains low by international standards – Thailand ranks 100 of 143 countries for per capita consumption – but it’s growing fast. Annual spending on the caffeinated beverage is currently US$512m and projected to grow annually by 7.4% between 2019 and 2023. Moreover, the market’s very immaturity offers opportunities to anyone who can match the lofty barista standards found in cities like Rome, Melbourne and Singapore. Experience working in or – better still – running coffee shops is obviously ideal. Failing that, experience in food service or the bar sector are almost as useful given the similarities (so you might also consider our cafes for sale). If your background is more greasy spoon than coffee shop, it’s advisable that you undergo barista training and immerse yourself in the sophisticated world of coffee. There’s great diversity in styles and methods and trade-offs between quality and both retail price and your outlay on ingredients, equipment and training. Finally, if a friendly demeanour – maintained under pressure – is important in food service the world over, then it’s vital in the ‘Land of Smiles’. Food service is among the most challenging sectors – especially if you’re operating in an alien linguistic, cultural and regulatory environment. Coffee shops are at least cheaper to buy than restaurants (being typically smaller) and simpler to run (the food menu probably being less challenging) with less onerous opening hours. Most coffee shops for sale are found in major cities like Bangkok or Chiang Mai or major tourist resorts like Phuket or Koh Samui. At the time of writing, BusinessesForSale.com features a 120 square metre coffee shop in Patong for US$9,498 and a ‘cat cafe’ in Phuket Town for US$41,045. Some coffee shops form part of a hotel complex, two examples being a 16-room guesthouse and coffee shop in Patong, Phuket priced at US$52,765, and a Bangkok hostel and cafe on sale for US$273,000. One American Bangkok resident said his own coffee shop in the country struggled primarily because of a poor location. He recommended properties near new BTS Sky Train stations (if you’re targeting Bangkok), which have many apartments nearby. But, he admitted in an article on The Wayfaring Soul, high footfall means high rent, so you may have to compromise, depending on budget. Still, you could compromise on space instead; after all, takings needn’t be limited by seating capacity – you can serve takeaway coffee too. Kitchen size might be a bigger concern if food is core to your vision. You could also stretch your budget if you find suitable premises with accommodation included on the floor above. Once you’ve found a suitable property, you should appoint a local lawyer, ideally with experience of overseeing transactions in the food service sector. It’s worth visiting the premises as a customer – both midweek and at weekends, as well as during the tourist low season – to see if it’s as busy as the sales ledger indicates. You might also identify other problems that could prompt you to renegotiate the price or abandon the deal altogether. Also check out other coffee shops in the neighbourhood to assess the standard of competition. Leases can rise sharply when they expire, so annual leases are preferable to month-to-month terms. Ask your lawyer to establish the precise terms of any key money – a commonly required payment for keys to the property – including whether it’s due again when the lease is renewed. Thailand welcomes 35 million tourists annually. Depending on your location and menu, then, you can attract plenty of non-Thais as well as Thais. If you’re based in a tourist hub then maintain a financial buffer as peak season closes, since trade will inevitably dip during low season, between April and November. You could offset this fall in trade somewhat by buying premises in a city rather than a tourist resort and catering to local tastes. Thai chains like Café Amazon, Mezzo and Black Canyon Coffee use evaporated and condensed milk instead of whole milk, for instance, creating a sweeter flavour and creamier texture. Nevertheless, independent Thai cafes increasingly use western methods and roast and blend their own coffee beans. Ultimately, you must understand your target market before finessing your product and pricing. Frequenting local competitors is a good place to start your research. What qualities characterise the coffee shops that are thriving? What flaws are apparent in those struggling for custom? You’ll be competing with chains as well as independents of course. Forging clear, unique selling points that appeal to your market is therefore vital. If you’re in an affluent area or tourist hotspot, for instance, then upgrading your décor, coffee beans, expresso machine and coffee bean grinder could be key to growing sales. While coffee should be your prime concern, food should be foremost in your thinking too. Whether you specialise in sandwiches or desserts, it’s often more practical and cost-effective to focus on quality over quantity. Whether you’re based in Chiang Mai or on the island of Koh Phangan, you’ll probably buy your equipment from a Bangkok wholesaler, according to one American former coffee shop owner in Thailand. He recommends buying from a reputable dealer that can provide a long warranty for repairs. They might even provide training on using and maintaining equipment. Thailand’s punitive import taxes inflate the price of commercial-grade equipment. A decent commercial espresso machine will set you back 200,000 baht and a quality coffee bean grinder about 25,000 baht. JJ Mall, in the heart of Bangkok’s Chatuchak district, has several shops that supply coffee shops with beans, coffee cups and expression machines. World of Coffee & Tea Expo , which takes place annually in Bangkok’s IMPACT convention centre, is worth a visit. Wholesalers offer visitors a taste of various coffee beans and roasting styles. A visit to Vietnam and Indonesia, which both have the optimum climate for growing coffee beans, could give you an edge on rivals sourcing Thai beans that generally have a less stellar reputation. In terms of staff recruitment, you should value attitude and demeanour as highly as barista skills. Your staff are the face of your business – and customer service really counts in the age of TripAdvisor. And it’s easier to teach someone barista skills than to change their personality.